ARCHIVE. By now, you have heard of the term ‘cloud computing.’ In fact, you’re probably using a cloud service every day without even realizing it—web mail platforms like G-mail and Yahoo fall completely within the cloud-computing genre, as does social media. We’re gradually trusting clouds more and more to store, compartmentalize and manage our social and professional lives. Meanwhile, the technology grows invisibly larger, absorbing our data and expanding toward a critical mass that researchers say is already flipping the concepts of hardware, software and data on their heads. As they’ve begun to teach cloud computing to students at CMU-Q, the team has shared the method for doing so with the scientific community. Their publication “Teaching the Cloud—Experiences in Designing and Teaching an Undergraduate-Level Course in Cloud Computing at Carnegie Mellon University in Qatar,” was published in the proceedings of the 2011 IEE Global Engineering Education Conference. The impetus and methodology detailed in the paper, Sakr said, could apply to any institution, anywhere in the world. The idea of all of our photos, files and movies floating ‘out there’ in a ‘cloud’ is an easy analogy to imagine, and yet it dodges the complexity of what’s happening on the ground. What a cloud actually implies is the concentration of data (and software and platforms) into gigantic blocks of hardware—a concentrated system with the capacity to sort, file, access, send, receive, store, present and secure it. These massive systems will take care of a bulk of operations that personal computers have so far handled. In exchange, our gadgets will get smaller and less storage and memory intensive. Instead of laptops, we’ll use tablets, phones and small touchscreens. The shift is already happening. “So there’s no magic except in the name and the hype. A cloud is a bunch of computers put together,” Sakr said. Nevertheless, one could argue that computer scientists are the magicians of the modern age, waving their wands to reshape our world with technology’s latest leap. Cloud computing, in its fully-functional form, means getting whatever features you want, any amount of memory you want, when you want, for as long as you want, priced only for the time you need it, Sakr explained. This is akin to having any car you want, on demand, for as long as you need it, for a price based on its features and your usage, he continued. Many kinks still exist in the system, such as how to establish the cost of data and services and how to maximize security and assign jurisdiction to data that may exist, physically, somewhere different than where it is used, virtually. Researchers, lawyers and business executives are all working on the social implications of cloud technology, while the computer scientists work their magic in the background. Publications and posters by the Qloud team address shortcomings in existing cloud platforms such as MapReduce and Hadoop—the work mainly highlights ways to prioritize and allocate tasks so that data traffic flows smoothly among optimal numbers of hubs, or nodes, within a system. The Qloud project in Qatar is relatively small and agile, yet big enough to run real-world cloud experiments that would be applicable to larger centers and thus contribute to moving the technology along. Sakr said that while some Qloud-based studies could apply to all clouds, they are all founded on local needs. 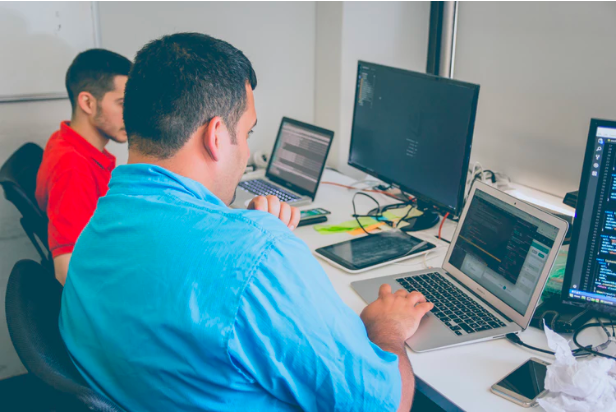 In addition to enabling local research initiatives, and developing local cloud computing and R&D skills through classes, Sakr said the team is evaluating which applications are suitable for the cloud platform in Qatar. 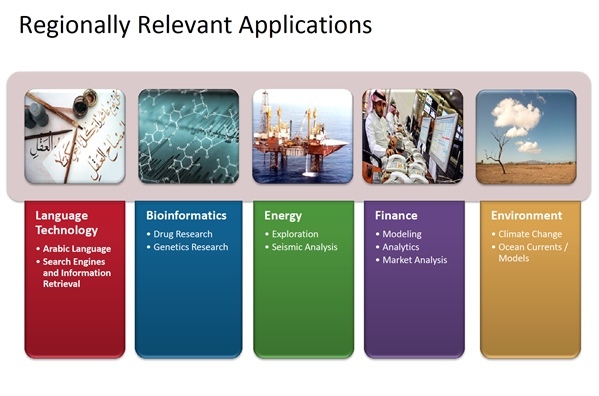 Under consideration are oil and gas data processing as well as health information processing. “What we want to know is what are the problems so that we research them and come up with solutions. Language technology, specifically Arabic language technology, is an area. Bioinformatics, energy, finance and environment—all of these are areas of active research here in Qatar. We’re looking at these applications and trying to find out what type of cloud matches them, because it’s not one size fits all.